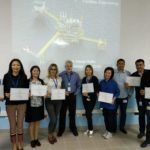 During my thirty-one years working as a geophysicist in the Worldwide E&P Industry I’ve witnessed big changes in the methods of seismic interpretation. Gone are the days when we used paper copies of 2D seismic lines, coloured pencils and hand-drawn paper maps to find oil and gas. Modern seismic interpretations are performed using digital 3D seismic data loaded onto workstations. These changes have been brought about primarily by the fantastic improvements in computer hardware and software. Today geoscientists can map oil and gas fields with a level of precision and detail unimaginable in the days of paper seismic data. 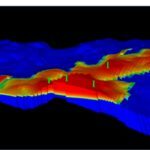 They can go further by using the digital depth maps as starting points for integration with geological and reservoir engineering data to create static and dynamic models of the fields. In addition modern computer workstations and software allow additional information on reservoir properties to be extracted from the seismic data, a process referred to as quantitative geophysical analysis. By building accurate reservoir models E&P companies can optimise the numbers and locations of planned production and injection wells and thereby maximise the hydrocarbon production from their fields. Whilst it is true that large volumes of oil and gas were discovered using paper 2D seismic data during the 20th Century, the sparseness of the data often meant that it was difficult to optimize recovery from the fields. 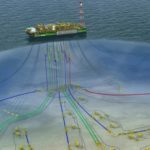 It is only through the use of 21st Century digital technology and 3D seismic data that we can really begin to maximise the recovery of hydrocarbons. These improvements have led to the rejuvenation of many mature fields around the World. 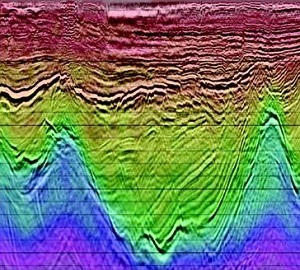 A good example is the Forties Field in the UK North Sea, which was discovered by BP in 1970 (using paper 2D seismic data and coloured pencils) and brought onstream in 1975. 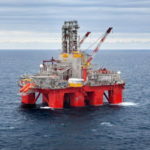 By 2003 BP had recovered 2.4 billion barrels of oil from the field. 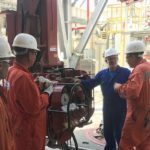 The current Operator (Apache Corporation) is investing in modern evaluation techniques, including quantitative geophysical analysis, to increase the ultimate recovery of oil from the field. They expect to recover an additional 800 million barrels of oil. 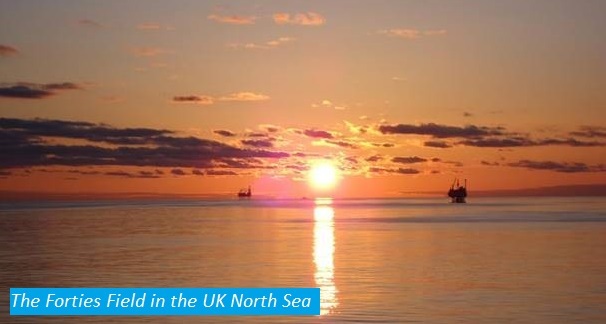 Similar success stories can be found elsewhere in the North Sea and US. However as a consultant I’m still surprised to discover that some clients do not follow the approach of companies like Apache and take full advantage of the modern seismic processing capabilities and the useful information which can be extracted from the data. By ignoring this information these companies often waste money drilling expensive wells in poorly chosen locations and hence fail to maximise hydrocarbon recovery efficiency. 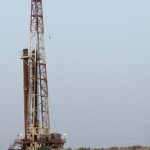 Yet a relatively small amount of money spent on analysing the seismic data would help to put the well in the optimum location. A common problem is the drilling of wells into fault zones. Faults should generally be avoided by wells because they can remove reservoir rock and act as baffles to hydrocarbon flow. Even worse they can act as conduits for formation water to flow into the well. Quite often the field itself will be covered by high quality modern 3D seismic data. The data will have been processed to Pre-Stack Time Migration (and sometimes through to Pre-Stack Depth Migration.) The early appraisal and production wells will have been drilled on locations mapped using these data. However the errors in selecting optimum locations for new wells will often stem from the belief that the final processed 3D seismic data is somehow perfect. In reality the 3D seismic data product is just an estimate of what the subsurface structure may look like based upon the best velocity models and the processing steps derived from the latest software. The key factor to remember here is that seismic data is acquired in time. We need velocity information to both process the data accurately and to convert it to depth. The velocity models used in the processing will have been best estimates only, usually derived iteratively during the processing itself. The chosen reservoir target location may have looked unfaulted on the seismic data prior to drilling. However if there are errors in the velocity models then the seismic reflectors will not have been moved (or migrated) to their correct positions during the Pre-Stack Time Migration processing. Hence the faults will not be in their true locations and there is a risk that a proposed new well will be drilled into one. The amount of uncertainty in fault positions can be surprisingly large. I once worked on a development project, located onshore Gulf of Suez in Egypt, where the field was covered by high quality modern 3D seismic data which had been processed to Pre-Stack Time Migration. 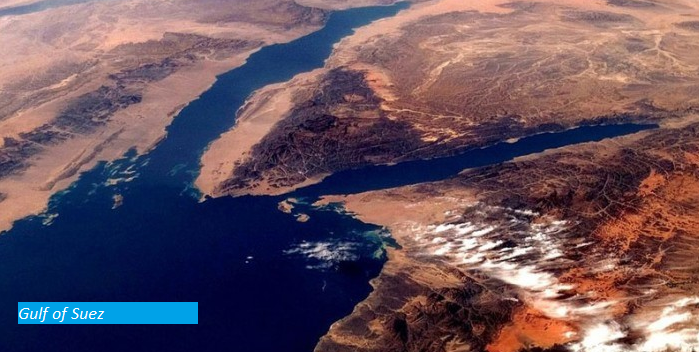 The main fault trend in the Gulf of Suez is NW-SE or “Clysmic.” When the 3D seismic data was reprocessed using Pre-Stack Depth Migration it was found that all the Clysmic faults migrated 125 metres to the SW! This helped to explain why some of the early appraisal wells had failed to find the reservoir sands! Quantitative geophysical analysis is a very important part of seismic data processing that has expanded enormously over the last fifteen years. It relies on the principle that different rocks have different physical properties and that these can affect both compressional (p-waves) and shear waves (s-waves) in different ways. In addition the presence of fluids within rocks (especially compressible fluids such as oil and gas) will change their densities and elastic properties and hence change the character of the seismic reflections. Under the right physical conditions these effects will be recorded during the acquisition of the seismic data. In quantitative geophysical analysis we take the seismic data and work backwards (invert) to determine some of the physical properties of the rocks. One of the most important reservoir parameters to be derived is porosity. The great advantage of processing the seismic data in this way is that we can predict porosity in the areas between and away from the wells. 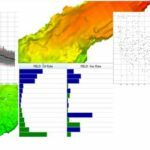 This enables more accurate and detailed reservoir models to be generated which help to reduce risk of failure by highlighting optimum locations for production wells. 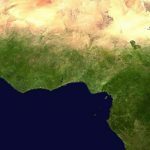 I used the phrase “right physical conditions.” Quantitative geophysical analysis is usually performed in Tertiary Basins, such as those offshore West Africa, where the geologically young rocks are relatively unconsolidated. These often have the right physical properties to enable the generation of seismic responses associated with the presence of hydrocarbons. 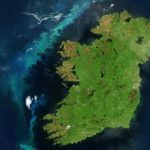 UK-based geoscientists may be forgiven for believing that quantitative geophysics has limited use on geologically older and more consolidated rocks. They point out that bright seismic amplitude anomalies are rare in the gas-bearing Permian Rotliegendes reservoir sands of the UK Southern North Sea and where found are usually very weak. However if the physical contrasts between the gas-bearing reservoir and the overlying rock layers are sufficiently large then seismic amplitude responses will be produced regardless of geological age. For example gas-bearing Carboniferous (Visean) sandstones in the Dnieper-Donets Basin of the Ukraine produce bright seismic amplitudes at depths of up to 3000 metres despite their great geological age. If there is well and velocity data available then the geophysicist can work with the petrophysicist to analyse the rock physics and make a prediction of the expected seismic response of the target zone. It is always worth considering performing quantitative geophysical analysis in areas of older geological rocks. Quantitative geophysical analysis should not be restricted to the Tertiary rocks. OPC has the capability to perform a wide range of subsurface geophysical, geological, petrophysical and reservoir engineering studies. Seismic, well and reservoir engineering data are integrated to produce static and dynamic models of fields. The static models are used to provide accurate estimates of oil and gas volumes in the reservoirs. The dynamic models are used to optimise the locations of future production wells in order to maximise the recovery of reserves. As part of the process OPC will analyse the quality of the data being input and make recommendations for improvements. The most common area for improvement is in the quality of the seismic data. This usually becomes obvious during the interpretation phase, especially when tying wells to the seismic data. The size of the misties will give a clue to the quality of the seismic data. In addition modelling of the rock physics will indicate whether the seismic data has potential for lending itself to quantitative geophysical analysis. If so then useful information on reservoir properties can then be extracted from the data. 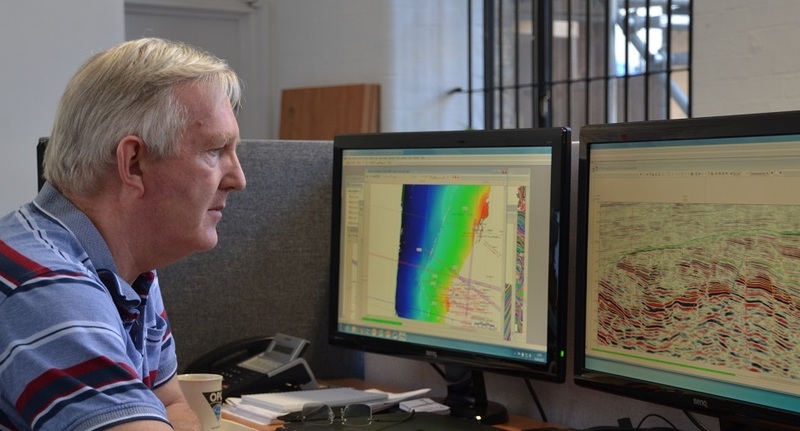 The processing and interpretation of seismic data over a producing field is an ongoing process which needs to be continued whilst wells are being planned and drilled. The costs of 3D seismic reprocessing and quantitative geophysical analysis, is very low in comparison with the cost of drilling wells. Yet many companies still seem reluctant to invest in reprocessing, whilst wanting to drill more production wells. During this period of low oil prices it may be prudent to re-think this approach. Spending money on reprocessing in order to optimize the seismic data is likely to repay big dividends when planning and drilling future wells. It also helps to support the seismic acquisition and processing companies. If the seismic reprocessing saves the cost of just one dry well then it will have been money spent wisely! 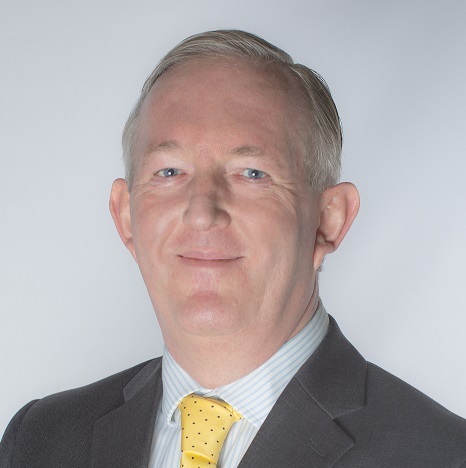 Brendan Keating is an Interpretation Geophysicist who has worked on assets in over 60 countries Worldwide including the UK, Dutch and Norwegian North Sea, Russia, Kazakhstan, China, SE Asia, North, Sub-Saharan and West Africa, South America and New Zealand. He has worked for a range of companies from start-ups to majors (including ARCO and Conoco) and spent five years in investment banking at Jefferies Randall & Dewey in London. He is now a geophysics consultant advising OPC in the further development of the geophysics services. Contact Brendan on +44 20 7428 1111 or by email . Why is PTA Surveillance of Injection wells useful?